Who is International Emergency Assistance? INTERNATIONAL EMERGENCY ASSISTANCE (IEA) is a specialized transport facilitator for worldwide transport and relocation coverage. We are comprised of a group of experienced professionals who saw a need over a decade ago and developed a network of qualified transport and service providers all over the world. IEA is incorporated under the name Emergency Management Services. Each and every staff member who facilitates transport and return arrangements has passed a background and experience check assuring the highest degree of honesty, integrity, credibility and quality of service. IEA offers its Members PEACE OF MIND through its 24-hour international contact and database service. IEA’s unrivaled staff guarantees that in the event a Member's family is not fully satisfied with IEA's performance , we will refund your membership fee upon written request. What is the difference between IEA and other "assistance companies" which may be out there? There are very few companies who specialize in only facilitating the complex transport and return of deceased persons, whether it be the mortal remains or the ashes following cremation. There are even fewer “assistance companies” that are staffed 24-hours a day with the experience of IEA’s professional certified personnel. With the first phone call to our 24-hour call service, IEA will facilitate all necessary transport and return arrangements for a “death away from home” anywhere in the world, any time of the day or night. According to your individual plan, there are generally no additional charges for this service because it is completely covered in your Membership fee up to five thousand dollars. Other “assistance companies” may take care of medical, financial or airline travel related emergencies, however they generally do not have 24-hour certified experienced staff to facilitate all necessary transport arrangements of mortal remains. This is a complex, confusing and can be emotionally and financially devastating. Other companies may simply refer you to the nearest mortuary for such arrangements, at which point you are on your own and not in control of the situation whatsoever. In this case, it is not unusual for costs to exceed thousands of dollars. IEA facilitates all of the necessary transport arrangements on your behalf through our established network of qualified service and transport providers. The peace of mind knowing that you will not be forced to deal with this can be worth more than any cost savings. IEA’s EXPERIENCED PROFESSIONALS FOLLOW THROUGH AND TAKE CARE OF EVERYTHING, THIS IS THE KEY DIFFERENCE. Is IEA an Insurance Company? No, an IEA Membership provides an immediate and valuable 24 hour call and database center (similar to a auto club membership) that will facilitate all necessary transport services through one of IEA’s qualified providers if death should occur while more than 75 miles away from home. There are no insurance premiums or deductibles to pay, simply a one-time Membership fee. Is there a difference between IEA and a funeral home? Yes, IEA is not a funeral home nor does it offer or provide (directly or indirectly) funeral or cremation services. IEA is simply membership based with thousands of members who perceive the value of an IEA membership. Simply put, IEA is a facilitator of transport and return arrangements that may be needed in the unlikely event death occurs while away from home. An IEA Membership provides peace of mind and totally protects you from additional or unnecessary emotional and financial expense if ever needed. What is the cost if a death away from home without an IEA Membership? Every state and country has different regulations for transport and return arrangements. Costs vary widely and can easily exceed thousands of dollars, even if the death occured in your neighboring state. The emotional circumstances and “red tape” are complex, confusing and distressing for the remaining family members. IEA’s staff minimizes these concerns and takes care of everything. Is there anywhere in the world that IEA cannot facilitate transport and return arrangements from? Even though this process can be extremely complex in some countries, generally we can facilitate these transport and return arrangements from anywhere in the world. However, due to the nature of unusual laws, regulations and religious requirements of some countries outside the United States, Canada and Western Europe, we cannot guarantee 100% that we will be able to accomplish this in those unusual circumstances. Even so, we will make every effort to assist in facilitating the return. Is there a "cap" on the transport expense amount that IEA will cover? Yes. The maximum amount of preparation for and transport expense covered by IEA is five thousand dollars. However, IEA's specialized ability to successfully negotiate appropriate transport arrangements rarely exceed this amount. 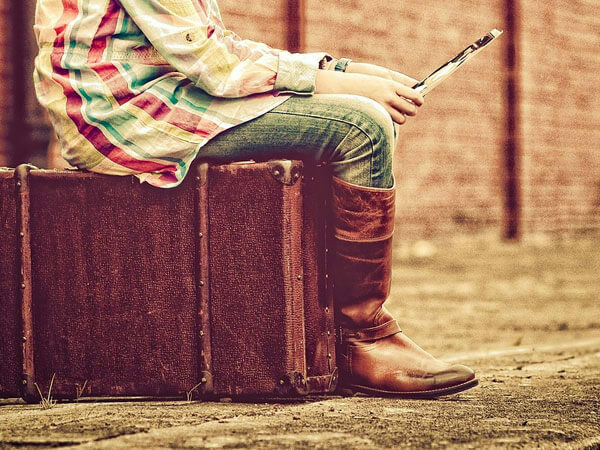 In the event there are transport expenses (or other requests) exceeding such amount, it may be covered by insurance proceeds or other responsibile parties. Will my insurance company cover anything? Maybe, depending on the type of policy you have. Some insurance companies may reimburse you for these expenses after the arrangements have been completed and paid for by you. However, they generally cannot assist you with professional advise and facilitate all the necessary transport arrangements like IEA can. Your “up front” transport costs could be exorbitant and are generally required in cash at the time a service provider is contacted. Also, most insurance companies do not have qualified transport or service providers available to facilitate your immediate needs in these complex circumstances 24-hours, 7 days a week. 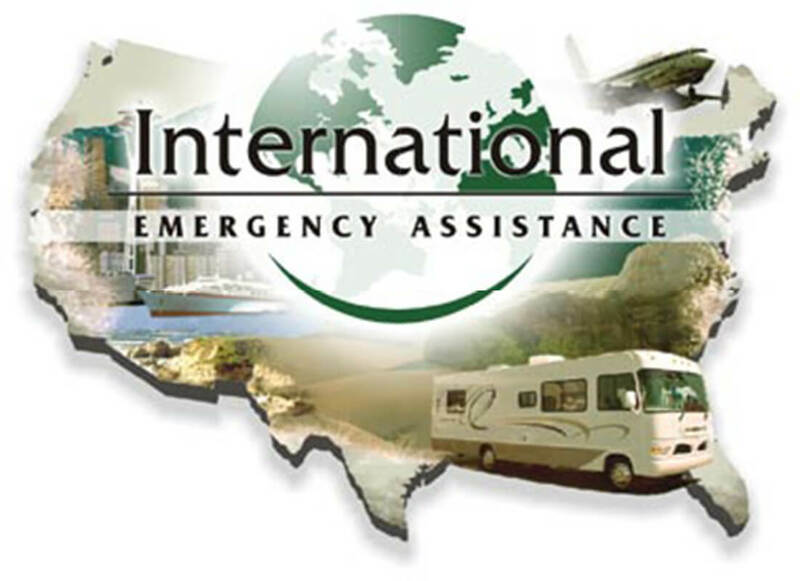 What geographic area does International Emergency Assistance cover? As long as you are 75 miles or more away from any of your homes, unless there are exigent circumstances generally anywhere in the world, unless death is a result of acts of terrorism or war. See your membership application for complete details. What is considered my "home"? Generally, your home (or homes)are a place that you own, rent or have resided in for at least 90 days. Can I have more than one home according to my membership plan? Yes, many people do. However, as long as you are more than 75 miles from your home(s) (wherever they may be) you are covered. If I move, can my membership be transferred to a new home? Yes. However, you are responsible for notifying IEA upon your move so we can enter your new information into our database. Is there a waiting period before my membership becomes effective? Once IEA has received your application and payment, your name is entered into our database and membership becomes effective. What kind of proof will I receive once I join as a Lifetime Member? You will receive a welcome letter and wallet size Membership card with a toll free 24-hour number that you carry with you at all times. How can a Lifetime Membership be so inexpensive? Because of IEA's years of experience and it's professional contacts, we have been able to negotiate and develop a large network of service affiliates and transport providers in many parts of the world. An individual generally would not know where to search for such providers and could not negotiate these service and transport fees on a moments notice. Your IEA guarantee assures you that as long as IEA is notified first, IEA will facilitate and negotiate all transport and return arrangements without any added costs up to the limit in accordance with your membership agreement. What is the cost of my IEA Membership? Your IEA Seller Representative will discuss the cost of membership with you. Considering the Peace of Mind you receive for a lifetime, the cost is minimal. Please discuss this with them, or contact us to see who the Authorized IEA Seller Representative is in your area. IEA memberships are only sold through authorized agents. NOTE: All costs (up to the five thousand dollar maximum) in preparation for transport (including documents, preparation for transport and transportation) are facilitated and paid for by IEA to the qualified service and transport providers at the place of death when IEA is called first and such arrangements are contracted by IEA. Upon return, any funeral, cemetery or memorial arrangements are separate and may be arranged by family members at the local receiving funeral home or cemetery in accordance with their service fees. What about claim forms, co-payments, and deductibles? There are none once the Lifetime Membership fee is paid. You may apply by contacting an authorized IEA Seller Representative in your area or by calling IEA’s toll free phone number. You may also complete the IEA Member application and return it to your Authorized IEA Seller Representative or to IEA via email or general mail or fax, along with your one time application fee. Payment can generally be made by cash, credit card or check. Click Here to Join. Your Authorized IEA Seller Representative is a "Corporate Partner" with IEA. Many of these "Corporate Partners" are individual agents, companies, travel clubs, fraternal organizations, churches, funeral homes or cemeteries providing special travel/transport/relocation protection benefits to their clients and members through an IEA membership. A Corporate Partnership Program allows these entities to sell IEA’s unique membership plan directly to their clients. To learn more about this program please contact our office and ask for the Corporate Development Director or email info@ieaco.com.